How does ISTQB Certification prepare you for test automation? Learn the answer below. How Does ISTQB Certification Prepare You for Test Automation? Organizations the world over are looking for ways to improve their software testing efforts. One means of achieving efficiency and effectiveness in testing is through the use of automated testing tools. Given that, how does ISTQB Certification prepare you for test automation? Very well, it would appear. ISTQB makes mention of test tools in the Foundation and Advanced Level syllabi. At the Expert Level there is a newly released syllabus that focuses entirely on the engineering aspects of test automation. Let's take a closer look at how this helps you as a software tester. The allure of automated tests is simple to grasp: faster, repeatable tests. However, what gets tested needs equal scrutiny so that we don't just perform poorly designed tests quickly. That's where the body of knowledge at Foundation and Advanced Levels provides the necessary methodology and best practices to ensure a solid testing foundation before we embark on automation. In fact, no fewer than 5 separate syllabi discuss automated testing topics and one syllabus, Test Automation Engineering, at the Expert level is dedicated to this topic. Let's see how this breaks out. At the Foundation Level we learn about the different tools that support testing. This includes the type of test tools that are available, including, but not limited to: regression, performance, test management, etc. At a high level we learn how to introduce these tools effectively into an organization. With the Advanced Level Test Analyst the discussion explores specific types of automated tools and implementation methodologies. How Keyword-driven and other approaches can help simplify test script creation and improve the automation effort. An examination and understanding of what causes automation to fail provides insights into considerations on how to avoid these pitfalls. In Advanced Level Technical Test Analyst we explore integration between automated test tools and/or other test tools, modeling business processes for automation, and tools for specific environments, like web-based testing. Advanced Level Test Manager focuses our attention on issues more commonly faced by the test lead or manager such as the tool selection process, ensuring a proper return for the investment, and understanding the anticipated life of the tool for a given project. With this solid foundation of automated testing concepts, we now explore the Expert Level Test Automation Engineering syllabus. The emphasis here is on what a test automation engineer needs to know and understand in order to create a purpose-built automated test environment that is reliable, maintainable, and expandable. Every organization will have different requirements and no two systems will use the same architecture, so the automated test solution needs to be developed to meet the specific organizational needs. Test Automation requires an understanding of technology to be effective. At the same time it needs to align with business and project needs. For existing manual test teams, a well thought out approach to integrate automation will ensure its acceptance. Evaluating a wide range of test tools for fit will ensure a good return on investment at the project and organizational level. Having a blueprint for what an automated solution can contain will help focus efforts on building the right solution. Ensuring that existing solutions are adapted to meet current and future business needs will make them relevant and avoid the dreaded "shelf-ware" syndrome, where tools are cast aside once they no longer can adapt to change. Of course, test execution is more than just about running tests. It's also about reporting the results of the run. When automation does not include comprehensive reporting, users are left searching for answers. In the Expert Level Test Automation Engineering, we focus on those tasks performed by a test automation engineer in designing, developing and maintaining concrete automated test solutions used in automating dynamic functional tests. This syllabus is not intended as a teaching aid for proper software development methods and is not focused on specific vendor-based solutions. Rather, the content allows for a wide range of implementation specific solutions including vendor software, open source solutions, or custom built solutions. By illustrating a generic test automation architecture, the various components of automation architecture are depicted and described. While no purpose-built solution will contain all components, selecting the relevant components will be a key to a successful architecture. Developing a solution with generic, reusable components will simplify maintenance and facilitate enhancement and expansion of automation capability. Every design solution brings with it benefits and risks. The selected approach can lead to technical failures or require highly skilled individuals to understand its complexities. These tradeoffs need to be understood upfront, along with an assessment of staff necessary to support this endeavor. For automation to be truly effective, we would expect the results from test execution to provide rich reporting of failures and a precise set of events leading up to the failure. Only then can a developer replicate the error and begin to identify a solution. Even the most elegant or refined automated test solution can still fail if the way in which it is implemented within the test team is not properly planned. Automation will change how tests are written, who will execute them, who will review them, who will debug them, etc. A proper transition strategy will ensure that automation is firmly entrenched into the testing process. While a test automation solution helps to identify system defects, it too may contain defects. The solution needs to be tested and debugged in order to ensure that all features and functions (code, etc.) perform as expected. Testing the automated tests is key to ensuring that what you think is going on is actually going on. If not, false negatives may result where test results do not show application errors where errors are known to exist. Finally, like all software development, the software used for automated testing needs to be periodically evaluated for service packs, patches, or upgrades. Depending on the changes made to the system under test, this may even require new or updated test automation technology. Test automation isn't about record and replay. It's much more complex than that and the complexity needs to be properly planned and managed. That is where ISTQB Certification prepares you as you embark on test automation. With sound knowledge, careful planning and a systematic approach, your ISTQB Certification will help set you on a path to successful test automation. Andrew Pollner, CTFL is the Vice President of ASTQB, and President & CEO, ALP International Corporation (ALPI). Andrew has published articles on software testing and automation and regularly speaks at major national and international testing conferences. He chairs the Expert Level Test Automation Working Party for the International Software Testing Qualifications Board (ISTQB) worldwide tester certification body. Software engineering expert Capers Jones was announced as the winner of the prestigious ISTQB International Software Testing Excellence Award for 2014. 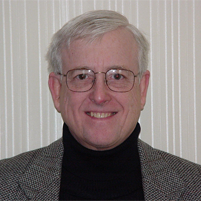 Capers is vice president and chief technology officer of Namcook Analytics LLC. This annual award is given to a person, company, or institute which has made outstanding contributions to innovation, research and awareness in the field of software quality and testing. Capers and his colleagues have collected historical data from thousands of projects, hundreds of corporations, and more than 30 government organizations. This historical data is a key resource for judging the effectiveness of software process improvement methods and also for calibrating software estimation accuracy. Platinum Partner: Blizzard Entertainment, Inc. Learn more about these companies and how your company can join the ISTQB Partner Program. Do your co-workers and boss know you are an ISTQB Certified Software Tester? Do your career a favor, and give them a gentle reminder with your own ASTQB coffee mug from the ASTQB Store. The ASTQB Store also offers planners, mousepads, and cards. It's always the perfect time to remind everyone of your ISTQB certification, so visit the store today. 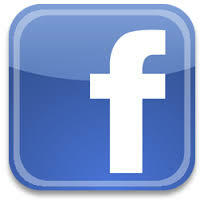 Join the wonderful community of ISTQB Certified Testers in the U.S. on the ASTQB Facebook page. The ASTQB Facebook page offers the latest ISTQB news, special discounts for the ASTQB Store, and the chance to help your fellow software testers. "Like" us right now. ISTQB Certification continues to be the most popular software tester certification in the U.S. and the world with more than 350,000 certified testers globally. Why is it so popular? For software testers, it demonstrates your knowledge, provides a professional pathway, and makes you global-ready. For companies and test managers, it can help to build efficiency, reduce your costs, and speed delivery. You can continue your software testing education with free ASTQB software testing webinars. Recorded versions of the webinars can be found on the Certified Tester Resources page. ASTQB offers sponsorships of local groups throughout the U.S.
ASTQB's Foundation and Advanced Level ISTQB exams have been approved for student reimbursement for veterans via the GI Bill. You can use the ISTQB Certified Tester logo on your personal website, resume, business card, blog, Facebook page, and Google + page. You may purchase items from the ASTQB Store to let everyone know you are a certified tester. Are you a business analyst who also does testing? Or a tester who also writes or reviews requirements? ASTQB offers a globally-recognized Business Analyst certification to enhance the analysis skills of everyone that writes, reviews or maintains requirements. The certification is suitable for business and system analysts, requirements engineers, product owners and product managers. Learn more about business analyst certification right now. ALP International (ALPI): NEW Agile Tester Certification Training: Feb 5 - 6; ISTQB Foundation Level: Feb 2 - 4; ISTQB Advanced Test Manager: Feb 9 - 13; Test Analyst: Mar 16 - 19; Technical Test Analyst: Mar 23 - 25. Test Tools training from HP (QTP/UFT, LR, QC) and Microsoft (MTM, CodedUI, LoadTest). Register for 1 Certification class and 1 Test Tools class together and receive $500 discount! Visit www.alpi.com or contact us at training@alpi.com or (301) 654-9200 ext. 403. Promotion Expires Jan 2, 2015. RBCS: Don't know what to buy for your favorite tester? How about a valuable training resource such as live, virtual or computer based training (certification or non-certification), a book (hardcopy, Amazon Kindle format, or ePub format), or a certification exam preparation guide? Visit the RBCS Store, enter code HOLIDAY14, in the promo code field in your cart and receive a 14% discount on your entire order! Discount reflected on final receipt. Offer valid through January 15, 2015. Offer cannot be combined with any other offer. Rice Consulting Services: Rice Consulting Services is offering a special bonus on Foundation Level e-learning and IQBAA Business Analyst e-learning team pricing. Enroll five or more people in CTFL or CFLBA e-learning courses and get one extra registration free, including exams. Use code "ISTQB6" at www.mysoftwaretesting.com when purchasing the 5-person enrollment versions. Offer good until January 30. SQE Training: Giving the Gift of Certification this Holiday when you register for our eLearning Software Tester Certification—Foundation Level course and get the exam for free! Interested in classroom training instead? Our full Spring 2015 course schedule (including Agile Extension and Advanced Certification classes) is now posted here. Are you ready to take your software testing career to the next level with Foundation, Agile, Advanced and Expert certification? ISTQB Certification has a professional pathway for every tester at every level and stage of their career. See these helpful resources to help you map out your software testing career.